For those looking for a softer light source in their home, light-emitting diodes (LEDs) generate low-intensity light and are more power efficient than halogen bulbs. This will in time save the homeowner money on the electric bill. 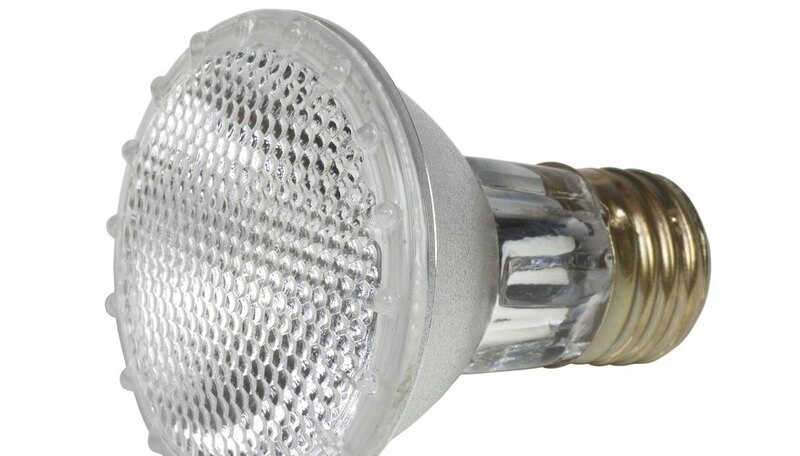 Many commonly used halogen bulbs draw more energy than they lead on. With the appropriate tools and patience, it is possible to convert a regular halogen bulb to an LED lamp. Some basic electronic and soldering skills are also required. Calculate the resistors you will need. This depends on the number of LEDs you are using and your supply voltage. There are several websites with LED array calculators to help you calculate this. Remove the glass cover of the halogen bulb with the small screwdriver. Use the screwdriver to graze away the cement around the bulbs pins. When you have removed as much cement as you can, place the bulb's reflector housing face down and use the handle-side of the screwdriver to knock the bulb. Punch holes for the LEDs on the aluminum sheet. Make sure the holes are evenly distributed. Designing a template and gluing it to the aluminum beforehand will help. Place the aluminum on a holder, such as a small glass or coffee mug, so you can insert the LEDs. With their legs up, put the LEDs into the holes. Make sure one cathode is next to another to simplify soldering. Take your compound glue and place a drop on all of the led margins and around each LED. Be sure to not get any glue on the actual LED legs. Allow the glue to dry, then cut every other leg from the LEDs with scissors, making sure there is room for an anode to bend to the next cathode. Bend every other leg to the adjacent leg, so that a positive goes to a negative. Solder all the positive legs together. Solder the resistors vertically to the negative legs. Solder the resistor legs and the remaining legs together. Take the two copper wires and solder them to one positive and one negative leg. Make sure all glue has dried, then place the LED unit into the empty bulb housing until the copper wires come out the back. Glue the spaces around the copper wires sticking out of the back of the housing. Mark the positive and negative copper wires. Cut the copper wire to the same length. Do not solder the glued areas. Jennifer Simon has been a copywriter since 2007, a copyeditor since 2004 and currently teaches English Composition at Full Sail University. Her edited articles have appeared in "The Washington Post," "The Huffington Post" and "The Network Journal." Simon has a Master of Arts degree from Duquesne University with a focus in modern English grammar, linguistics and editing. Simon, Jennifer. 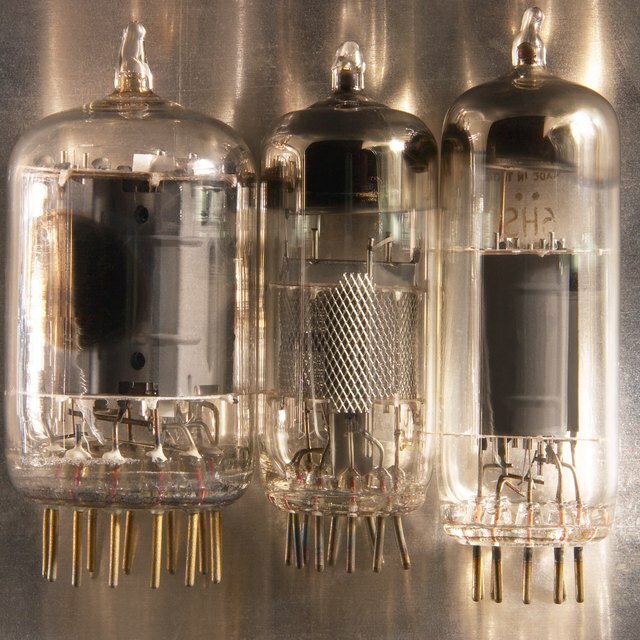 "How to Convert from Halogen to LED." Sciencing, https://sciencing.com/convert-halogen-led-7959056.html. 24 April 2017.